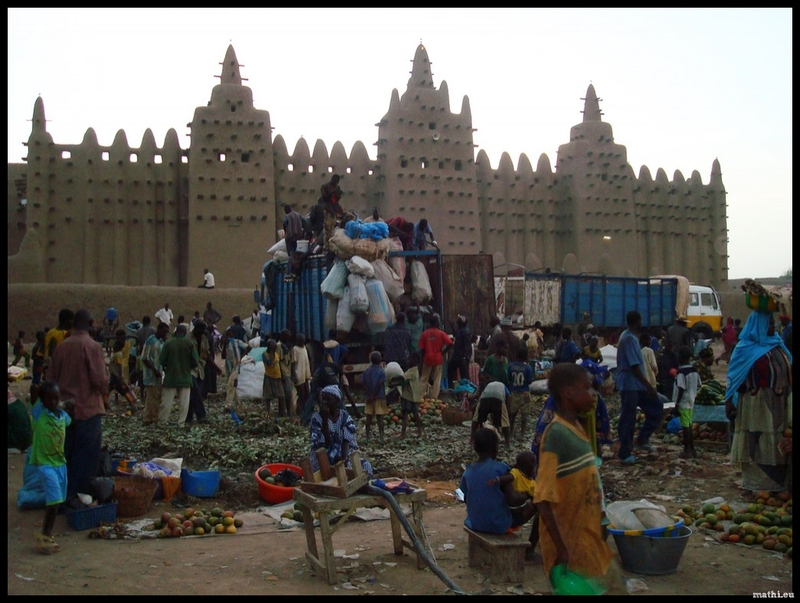 Market day in Djenne. People are off-loading goods in front of the UNESCO world heritage site: the biggest construction of mud. In the world. This mosque needs to be repaired every year following the rainy season. Tags: africa, mali, mud, religion, unesco.